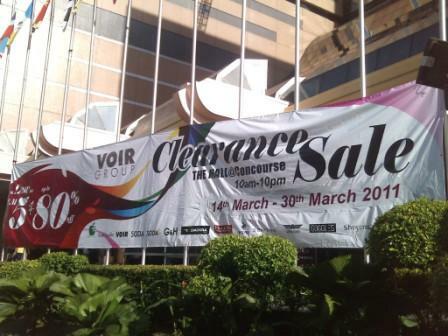 The clearance sale is held from 10am to 10pm from 14 to 30 March. VOIR group carries brand name like VOIR, Soda, South China Sea. I managed to buy a soda blouse for RM19- in which cannot get for that quality. There was a Puma and Adidas warehouse sale but I did not venture up to look. The Parkson grand sale is also on. 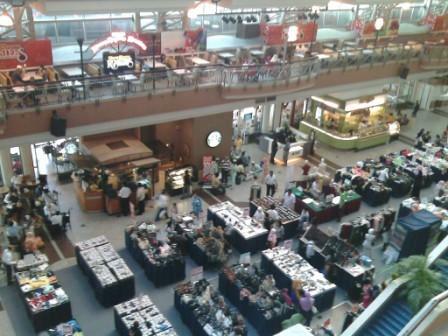 Still, going back to the Mall really brings back memories. Formerly it started as Yaohan department stall. My mom used to bring me here via the minibus when I was young. And I would get my squid balls or fish balls at about RM1.30 for a stick with 4 or 5 fishballs- we would take light snacks at the lower ground floor where there’s a foodcourt. 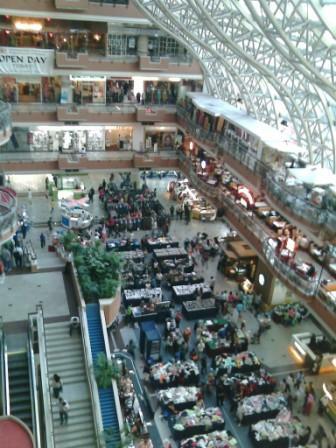 Last time, there was not many shopping complext around, so The Mall is always very packed. Today, it’s a shadow if its former self.